Mill Hill 00167 Christmas Green Glass Beads - Size 11/0.. Box with aquamarine colour beads from "Antique Glass Beads Collection". Kit contains: box with beads, weight: 4.25 grams.. Box with matte orange colour beads from Frosted Glass Beads Collection. Kit contains: box with beads, weight: 4.25 grams.. Box with black colour beads from "Glass Seed Beads Collection". Kit contains: box with beads, weight: 4.5 grams.. Box with copper colour beads from "Glass Seed Beads Collection". Kit contains: box with beads, weight: 4 grams.. Box with magenta colour beads from "Glass Seed Beads Collection". Delicate finish - if used on jewelry or clothing, spray with Krylon crystal clear spray. Kit contains: box with beads, weight: 4 grams.. Box with crystal orange colour beads from "Glass Seed Beads Collection". May be affected by detergents, oxidation or strong friction. Kit contains: box with beads, weight: 4 grams.. Box with violet colour beads from Glass Seed Beads Collection. Delicate Finish - If used on jewelry or clothing, spray with Krylon crystal clear spray. May be affected by detergents, oxidation or strong friction. Kit contains: box with beads, weight: 4 grams.. Box with dark violet colour and similiar beads from Antique Glass Beads Collection. May be affected by detergents, oxidation or strong friction.). Kit contains: box with beads, weight: 2.6 grams.. Box with crystal blue colour beads from "Glass Seed Beads Collection". Kit contains: box with beads, weight: 2.6 grams.. Box with honey colour beads from "Glass Seed Beads Collection". Kit contains: box with beads, weight: 4.54 grams.. Box with mint colour beads from "Glass Seed Beads Collection". Kit contains: box with beads, weight: 4.54 grams.. Box with matte golden colour beads from "Frosted Glass Beads Collection". May be affected by detergents, oxidation or strong friction. Kit contains: box with beads, weight: 5.25 grams.. Box with crystal olive colour beads from "Glass Seed Beads Collection".Delicate Finish - If used on jewelry or clothing, spray with Krylon crystal clear spray.). Kit contains: box with beads, weight: 4 grams.. Box with opal topaz colour beads from "Frosted Glass Beads Collection". May be affected by detergents, oxidation or strong friction. Kit contains: box with beads, weight: 4.25 grams.. Box with turquoise colour beads from "Glass Seed Beads Collection". Delicate finish - if used on jewelry or clothing, spray with Krylon crystal clear spray. Kit contains: box with beads, weight: 4 grams.. Box with red colour beads from "Antique Glass Beads Collection". Kit contains: box with beads, weight: 2.63 grams.. Box with opal variety colour beads from "Glass Seed Beads Collection". Kit contains: box with beads, weight: 2.85 grams.. Box with blueish colour beads. 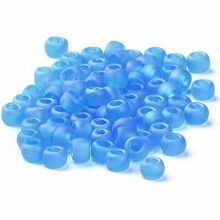 Kit contains: box with beads, weight:4.25 g.. Box with green and blue colour beads from Glass Beads Collection. Kit contains: box with beads, weight: 4 grams.. Box with apricot colour beads from "Glass Seed Beads Collection". May be affected by detergents, oxidation or strong friction. Kit contains: box with beads, weight: 2.85 grams.. Box with silver colour beads from "Glass Beads Collection". Kit contains: box with beads, weight: 4.54 grams.. Box with greenish and purple colour and similiar colours beads from Antique Glass Beads Collection. May be affected by detergents, oxidation or strong friction.). Kit contains: box with beads, weight: 2.6 grams.. Box with matte green colour beads from "Frosted Glass Beads Collection". Kit contains: box with beads, weight: 4.25 grams..